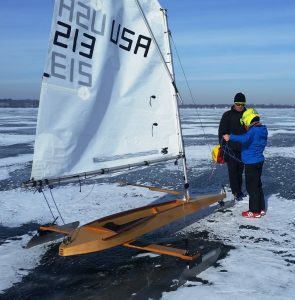 Congratulations to 4LIYC Ice Optimist sailors Fritz and Meta Simon for their win in the junior division of the Inland Lakes Yachting Association X Boat regatta sailed on Delavan Lake. In a field of 67 boats, that’s an impressive performance. Results here. 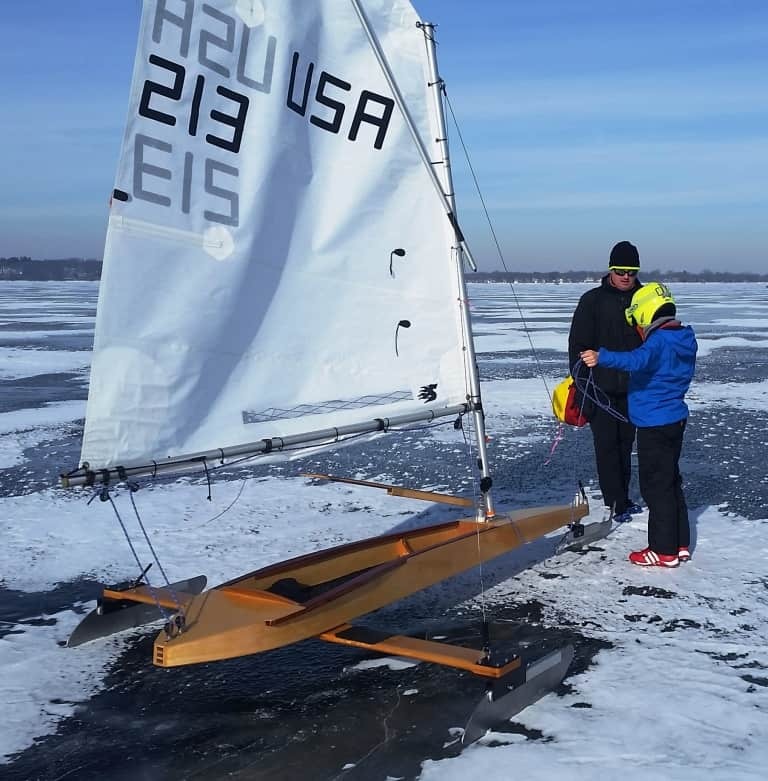 Fritz Simon and Dad Greg on Lake Kegonsa last season. 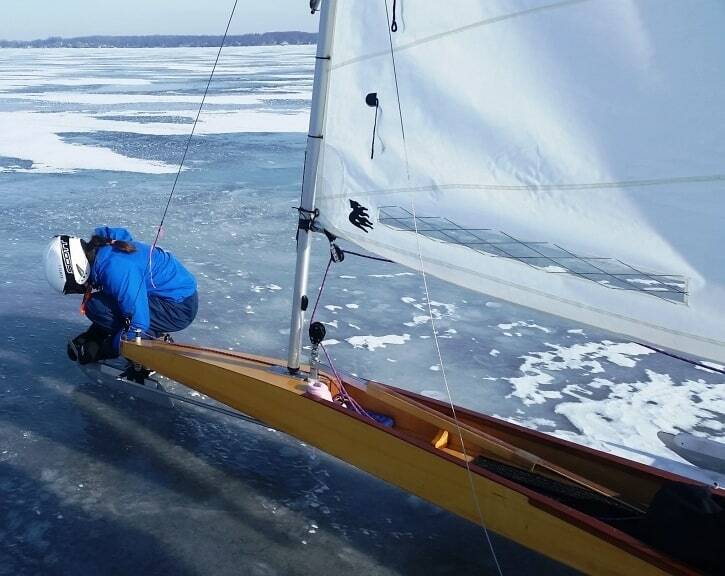 Meta Simon checks her Ice Opti runner on Lake Kegonsa in January 2017.